Motorcycles have become an increasingly convenient and cheap alternative mode of transportation in the United States. However, with that convenience, the issue of motorcycle accidents has become increasingly more prominent as well. While other kinds of automobile accidents can also prove dangerous, motorcycle accidents are uniquely dangerous due to the exposed nature of motorcyclists and their vehicles. The statistics can be shocking, with the National Highway Traffic Safety Administration (NHTS)reporting in 2005 that motorcyclists were approximately 8 times more likely to be injured and 37 times more likely to be fatally injured than passenger car occupants. 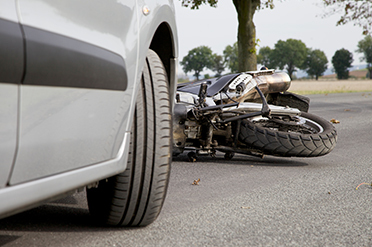 Motorcycle accidents can be some of the most devastating traffic accidents. They will often result in considerable injuries to you as the motorcyclist and can seriously impact your or your family’s financial situation and personal lives. The medical bills from such accidents are often huge and the hospitalization times can lead to loss of employment or future earning potential, as well as severe pain and suffering for everyone involved. With far fewer safety features, motorcycle accidents can often result in serious injuries, such as head and spinal trauma. These injuries can negatively and permanently affect the life of a motorcycle accident victim’s life. Due to some of the unfounded reputation surrounding motorcycles, dealing with the consequences of a motorcycle accident can be most difficult, with many attorneys even shying away from taking such cases due to the stereotypical belief that motorcyclists are reckless and dangerous drivers. While some motorcycle accidents can be the fault of the motorcycle driver, they are more often than not the result of negligent automobile drivers. As many as 42 percent of fatal motorcycle crashes involving two vehicles were due to a vehicle turning left while the motorcycle was going straight, passing, or overtaking the said vehicle. The attorneys at the Law Offices of Michael Raban understand these difficulties and have been wrestling with them for years. Fortunately for the injured parties, these accidents are often caused by the negligence of others. If you are a victimor a family member of someone involved in a motorcycle accident, we can help you successfullyseek retribution and compensation for the negligent actions of the driver responsible. Should a person be harmed in a motorcycle accident caused by these or other, similar actions, they or their loved ones are likely eligible to file a legal claim against the party responsible for the incident. Having an experienced motorcycle accident lawyer can be pivotal to the investigation. Being well versed in the laws of this articular kind of accident, an attorney knows exactly what to look for in the investigation and what to expect from the defense and from insurance companies. Occasionally, police reports may provide an inadequate description of the scene, sometimes even biased in favor of the automobile driver, making the attorney’s experience even more precious. Located in the San Fernando Valley since 2006. 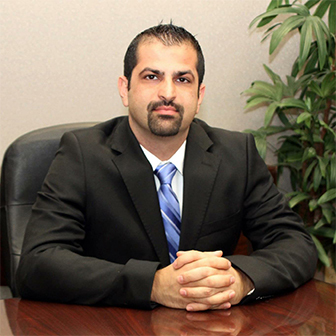 We provide those who have been injured with personalized legal care and support.